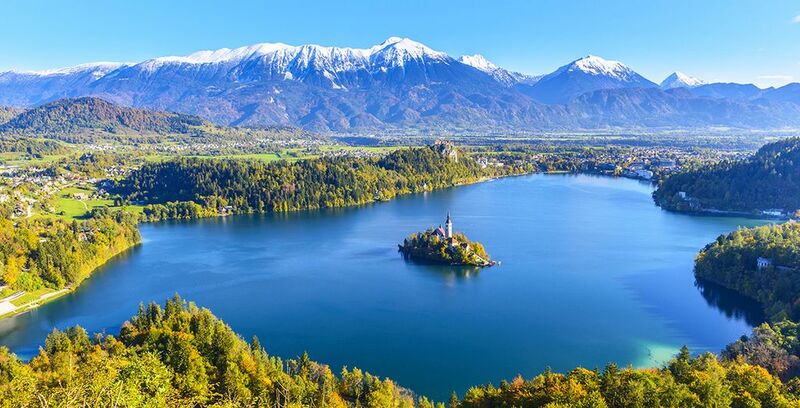 Slovenia Travel Guide, Plan your unforgettable holidays up to -70% off To take advantage of these offers, join now for free! Discover the our FREE Slovenia Travel Guide: Advices, tips, best locations, itinerary and more. Great saving on Hotels & flights Enjoy! . 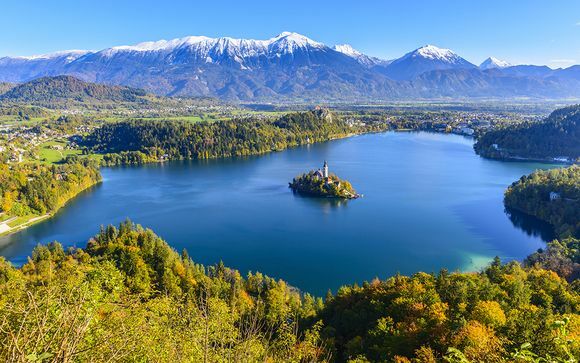 An idyllic land of snow topped peaks and verdant valleys, Slovenia’s old-world grandeur makes it a must-visit for any holidaymaker. Blessed with a warm, continental climate in the summer that shifts into a winter wonderland in the colder months, the area enjoys a population that is diverse as it is friendly and truly welcoming of English-speaking guests. Framed by Italy, Hungary and Croatia, a visit to the area allows for a delightful melange of cultures, arts, and tastes. With a rich history stretching back to the cessation of World War 1, it's just as suited to culture addicts as it is to luxury travellers. Slovenia offers utmost comfort and unbelievable vistas and culture, all at an affordable price point. So, read on to find out why Slovenia is the perfect place to visit for travellers of all stripes. A perfectly preserved example of classic Slovenian architecture, this area is car-free and fully pedestrianised. And if you’re visiting in winter, the famous Christmas market sells amazing hot chocolate that can help you fully embrace the spirit of the season. A must for fans of Game of Thrones and gothic grandeur, the castle perched on the lakeside is the perfect stop-off point. The oldest castle in all of Slovenia, the building and its courtyards give incredible commanding views of the lakeside below – making it perfect for fans of fairy-tale grandeur and bending the knee, alike. A magical wonderland, take a trip on the Postojna underground train through a glittering cave structure developed over millions of years. A Centrepoint is the world famous ‘brilliant’ column, it stands over five metres high and was formed across years of Slovenia’s history. A relic of the Renaissance and the largest cave-castle in the world, this imposing marvel takes travellers back to a time of knights, kings, and high romance. Nestled atop a 123m high cliffface, tourists can wander though a winding network of secret tunnels, learn about the staunch Erazem of Predjama, and even train as a knight for a day. For those looking to bring a little magic to their trip, Ljubljana’s famous magic museum contains tricks and traps to draw in kids and adults. Featuring walk-in illusions, in-house magic performances and a rotating gallery of attractions; the museum truly has something for every family. One of Europe’s most famous parks and named after the 2864m high mountain that crowns it, Triglav’s 838km square surface is pristine and protected – making it the perfect place to take in some unspoiled natural beauty. Visitors can view the sweeping Lake Krn, visit the beautiful mountain valley trails and enjoy the untouched splendour of the Soca Valley. Accessible to novices but still of interest to seasoned hikers, the Bela Krajina embodies much of the natural beauty that Slovenia is famed for. And the fact that several hikes pick their way around vineyards and wind their way through spots of natural beauty makes it the perfect place to lake a leisurely stroll and stop and admire the view over a glass of heady merlot. Stretching 2500m skyward, this mountain range is made up of a selection of rugged slopes graduating down into sun-dappled valleys – making it heaven for experienced climbers, keen walkers, or fans of natural beauty. Part of the beautiful Triglav park, visitors to these waterfalls are met by the stunning sight of the 52m drop under the cover of the nearby cliff trail, carved into the living rock of the wall. 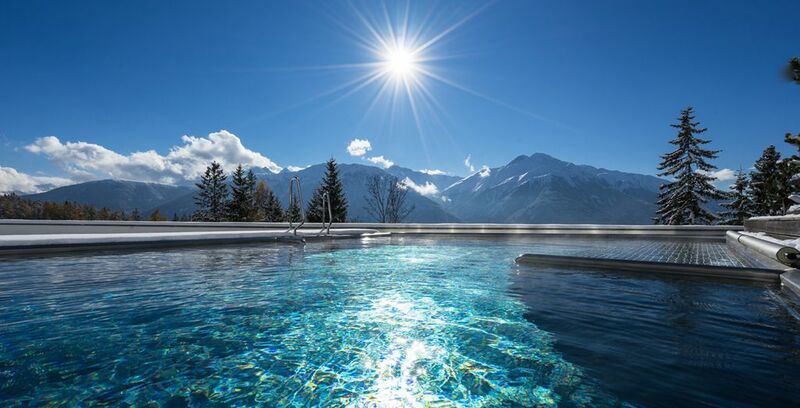 Enjoy raging waters in the summer months and a breath-taking sheet of frozen art in the crisp midwinter. One of the oldest courses in the Republic, this perfectly maintained golf course is made up from the phenomenal 18-hole Championship King’s Course and the famous 9-hole Lake Course, ringed by the nearby Alps and surrounding the players with unbelievable natural beauty. Visiting in the warmer months allows you to take full advantage of the region’s beautiful landscapes, walks and fields – with regions famous for their wildflowers and breadth of biodiversity. However, this should not discourage you from visiting in the colder months. When the snow falls, Slovenia’s perfectly preserved cities transform into celebrations of the festive season complete with home-made lights, authentic wooden decorations, and all the festive cheer a traveller could hope for. A central part of the Eurozone area, one of Slovenia’s strengths is its infrastructure. Air: Slovenia enjoys affordable daily flights from almost all EU countries flying to the international airport Jože Pu?nik Ljubljana. All visitors will require passports that are valid for at least three months beyond your point of stay. Visas are not required for British, Australian, Canadian, US, or other EU citizens, but EU passport holders are required to register with the police if staying longer than three months. London: 2hrs direct – 3hrs 40mins connecting. Berlin: 1hr 35mins direct, 2hr 50mins connecting. If travelling by rail is of interest to you, the local trains are known for running regularly and have a high degree of dependability, allowing you to stay in sleeper carriages overnight if you want to see more of the country or disembark in a different area nearby. Nestled in Rimski Toplic, the Dvor is a stunning example of the area’s rich legacy of hospitality. With a range of spacious rooms to suit all travellers and a comprehensive wellness spa, the hotel marries excellence, elegance, and a world class dining experience no matter your tastes. 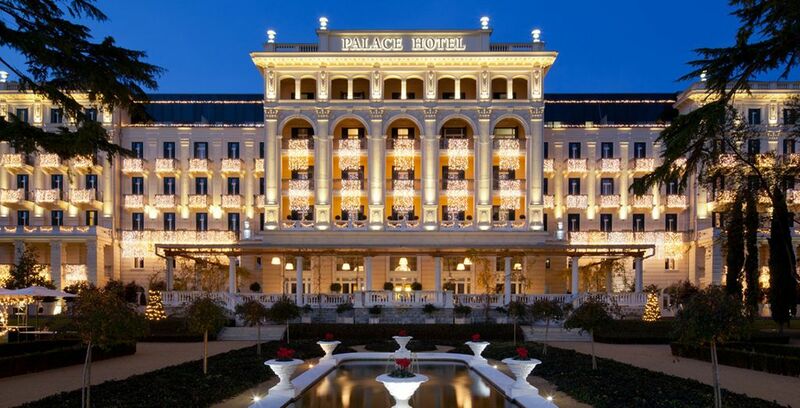 A stunning venue located in central Portoroz, guests have access to a nearby private beach and a selection of beautiful rooms to retire to once you’re done treading the sands. 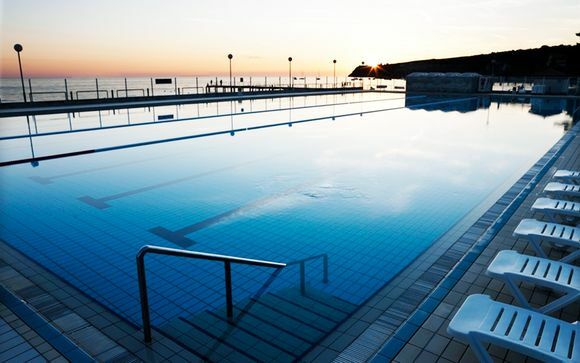 Mixing class, luxury, and affordability, the Portoroz is the perfect choice for those looking to enjoy everything Slovenia has to offer. 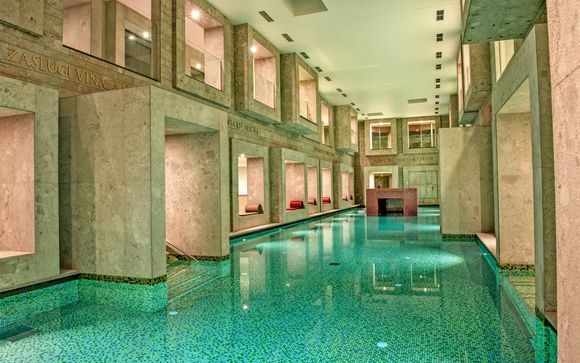 For those looking for resort-level comfort, the Kempinski has you covered. Offering rooms that are as stunningly furnished as they are comfortable, the nearby area allows you to enjoy a wealth of activities from truffle hunting to soaking up the area’s rich authentic history. Held across July to August every year, the festival is Slovenia’s high-class answer to the fringe – holding operatic, dance, drama, and musical events over the period. Occurring in the tiny hamlet of Laško in mid-July, this event features gallons of beer, rows of stunning floral arrangements, live music and…a wedding?! A true celebration of the area’s rich history – be sure to take part before it becomes too big. With 58 per cent of the population identifying as Catholic, religious holidays are very important to the community; with people placing a huge emphasis on the home and family activities. Do not be surprised to see many perfectly maintained gardens, and gorgeous flower displays. Respect for elders and family is very important – the multicultural nature of the society means that you’ll be given a warm welcome…once you’re sized up and your new friend knows where you hail from. As long as you are respectful and warm, you’ll be just fine. The area is known for its many home-grown delights, and honey absolutely tops the list. Famous for keeping bees fed on local flowers, Slovenian honey is a great gift that will bring back memories for years to come. Of course, if you’re looking for something stronger, blueberry schnapps (borovni?ke) is an amazing liqueur filled with natural sweetness and has a kick that belies its crisp and warming texture. And if you’re looking for something to pair with your drink, it's hard to do better than a rich potica cake – with locals baking them year-round to match each of the four seasons. As an EU member state, Slovenia relies on the Euro. Money can be exchanged once you arrive but – as with all travel - ensuring that you have physical currency on-hand is generally advised. Depending on the area you are staying in, Visa and Debit transactions may not be available, making it worth checking in advance wherever possible to ensure that you aren’t caught out. 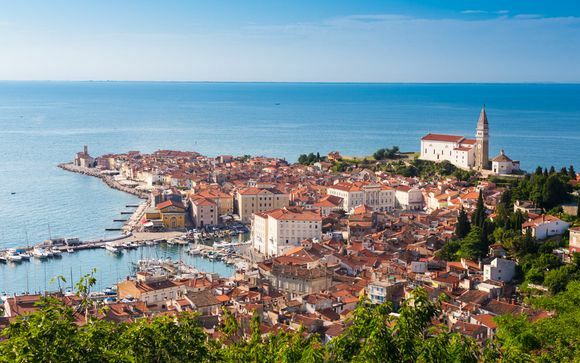 Slovenia is 1 hour ahead of the UK and keeps the same time as other eurozone countries such as France, Spain, Germany, and Italy; making flights and transport easy and efficient. Slovenian is the national language of the country with 91 per cent of residents speaking it fluently. This is branched into around 32 separate dialects spoken by locals due the agrarian lifestyle previously enjoyed by the majority of the population, which can make picking up a bit of the local language difficult. Most locals will have a good understanding of the English language and - due to the area’s intersectionality – will be the primary language spoken when no mother tongue is shared. Central areas like Bled, Bohinj and Ljubljana will have high degrees of familiarity, but this may decrease the further you move from urban centres. Due to Slovenia’s strong rail infrastructure, train travel is a cheap and flexible option for many travellers. However, if you are looking for a combination of convenience and economy, car rental is ideal due to the state’s well-maintained roads. The general flatness of the terrain also makes cycling a valid option for getting around smaller cities and taking in the area’s amazing architecture. Depending on the time of year, warm clothes may not be a necessity, but be aware that the temperature can drop dramatically during the colder months. Due to the amount of amazing natural beauty on offer, a broken-in pair of hiking boots is a must along with a smaller backpack to contain any supplies. Camping gear and bikes can be rented fairly inexpensively while you are there, but bringing your own rucksack is recommended for those enjoying an extended stay. As always, smaller items can bring the biggest wins. A reasonably powerful portable charger and roaming plan can help with navigation and communication if you decide to explore the area on foot. And, if space is at a premium, bringing a smaller selection of clothes that accessorise well can allow you to mix and match during the day and still have something to wear at night. One of Slovenia’s many positives is how generous it is to visitors, with a wide selection of activities and adventures to be had for travellers of all timetables. But with so much to do, we can’t help but recommend staying for a week or more to make sure that you are able to soak up as much of the country as possible. This gives you enough time to plan a comprehensive trek, travel to sites of natural or historical significance, and truly enjoy the natural beauty that makes up so much of the state’s appeal. Despite being a nation of avowed meat eaters, there is also room for many grains as part of your diet. Multicultural diners, Slovenians enjoy the best of all worlds with Pršut – cured ham – finding its way into many lunchtime meals. It is salted and cured to provide a deep umami taste that almost dissolves in the mouth. Amazing beers and brews are available too, thanks to Slovenia’s curation of hops. And for those of you that miss your autumnal lattes – pumpkin seed oil finds its way onto almost everything from salads and bread to ice cream and layered sweet-treats like gibanica. 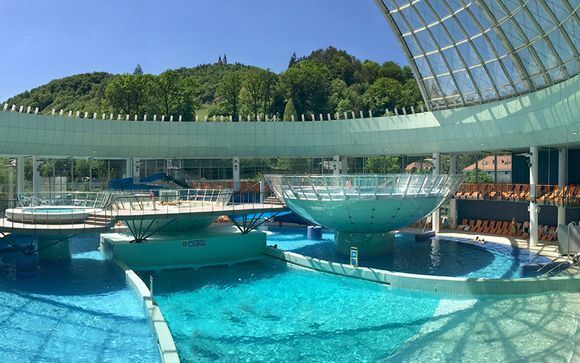 Slovenia’s access to lakes and oceans makes it the perfect place for families to try water sports together or take part in activities like mountaineering, extreme sports, and canyoning. These range from straightforward canoeing with younger children to white-water rafting and paddle boarding for older kids. Failing that, almost all activity centres will allow for cycle hire – letting you journey into the nearby woods or treelines for an adventure. How to travel to Slovenia with your pet? As part of the EU, the production of a pet passport will be sufficient to allow you to bring your family pet or support animal into the country. They should also still have their microchip and a valid rabies vaccination certificate for the injection your pet received when they were first registered. However, UK citizens should review this information from March 2019 onward due to Brexit. Slovenia: What budget to plan? The cost of travel is one of the biggest draws for visitors to Slovenia. On average, Slovenia will cost €75 (£67.50) per day per traveller or €524 per week. Accommodation and food are extremely affordable with an average of €42 per person per night and €19 per day. Alcohol is also cheap with €9 providing enough drinks for one day, but intercity transport comes in as a primary expense at €34 per day. If you’re looking to step into a fantasy idyll, Slovenia’s sweeping plains and azure skies have you covered. Urban areas are predominantly as they were for decades past, so expect to feel lots of immaculate flag and cobblestones under your soles or bicycle wheels. And while the natural beauty of the area is remarkable, it is worth remembering that the further you get out from ‘civilisation’, the greater your risk of signal loss; so, make sure you have back-up plans and maps downloaded when undertaking any trek into the wilds. Slovenia deploys a 230V, 50hz frequency output for electricity, meaning that two-pronged plugs or adaptors should be used. As always, try to buy your adaptors from a reliable manufacturer and ensure that they are not overloaded or left charging unattended for large amounts of time.